Under the Expat Economics section, the HSBC Expat Explorer Survey 2013, published recently, ranked Malaysia 14th out of a league table of 37 countries, commending its young and dynamic population and a growing economy. 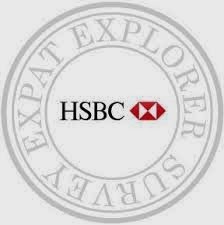 The HSBC Explorer Expat Survey 2013 compiled findings from about 7,000 expats worldwide. Expatriates ranked Malaysia as one of the better places in the world to work in, with Malaysian work culture ranked second in the world, and Malaysians considered the fourth easiest country in which to make friends. It ranked Malaysia 5th in the world in terms of household income, and 11th where expat satisfaction with the local economy was concerned. The country however fared poorly at 27th in terms of disposable income. It said that expats were also "upbeat" about Malaysia's local economy, with 41% of them here believing that it was getting better, and that nearly eight in ten expats here were also satisfied with the local economy. "As a result, few expats are looking to leave the country because of a negative economic outlook, only 15% compared to a global average of 25%," the study said. The survey however ranked Malaysia's neighbours Thailand, Indonesia and Singapore better in terms of expat-related economics, ranking them 4th, 6th and 9th respectively. Expats also seemed to be less taken with Malaysia as a second home. The country ranked 20th under the survey's Expat Experience list, behind Thailand and Singapore, which ranked 1st and 6th in the world respectively. Expats, according to the survey's website, found it easy to make friends here (4th), though integrating into the community was another matter (27th). Organising healthcare was not a problem (5th) for expats, but access to quality healthcare was an issue (29th). In terms of local work culture, the survey found Malaysia near the top at 2nd, though expats seemed to feel less welcome at work (32nd) than in other countries. A work/life balance was also a problem, with Malaysia at 31st on the list. Learning and using the local language was also a challenge for expats here, with Malaysia ranking at 23rd and 29th respectively. Malaysian food was also not seen in a good light. To expats, local cuisine was considered unhealthy (35th). Getting used to it was an issue (31st), and enjoying it appeared to be a problem (34th). Many expats here however seemed to have a great social life (2nd) and tended to be very sporty (2nd). Also, 54% expats surveyed here believed that Malaysia had a higher quality of life, as opposed to a global average of 45%. Malaysia could not be ranked under the survey's full list, included in the Expat Survey league table as there was not enough data over the raising of expat children. 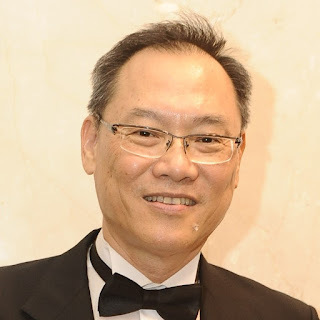 Ringgit against the USD by end 2013 ? The cost of medical technology !